In general, I come from a place of curiosity and learning. I am grateful for Dr. June and thankful to our cohort for the insights gained and the opportunity to develop the ability to understand what it means to be “globally competent” through our time together in EDOL 754A. While there are a number of ideas I have developed a better understanding of over the course of our learning experience in Central America, there is one stand-out global issue that I look forward to relating to real-world situations moving forward. The global issue connected to my experience in Placencia, Belize is related to the expression of solidarity in diversity as a global leader and proposed ways to promote the common good in developing countries. Our time together has challenged my thoughts on the attributes of a global leader and through our learning the expression of solidarity stands-out as one very specific characteristic of a globally competent leader. Building on my learnings through the MSML and EDOL programs, I look forward to sharing my real-world application on a handful of course learnings, grounded in the literature as presented in EDOL 754A. It is from my personal Christian perspective, I explore solidarity in relation to Catholic Social Teaching in developing countries and determine our social responsibility as global leaders related to this principle. The main religion in Belize is Roman Catholic by 39.3% (United States, 2014) and in this way, the principle of solidarity and connectedness that is deeply rooted in scripture and Christian history is relatable to a large number of Belizeans. However, like many Catholic social principles, solidarity is a concept that is used widely but has different connotations depending whether the context is secular or faith-based (Lysaught, 2014). For example, in secular settings the term can be used to refer to political unity primarily among oppressed groups, enabling them to organize to overcome social injustices (Boyer, 2013). From a political perspective, an independent expert on human rights and international solidarity is appointed by the United Nations Human Rights Council is and is committed to promote human rights and solidarity. In this context, international solidarity is defined as precondition to human dignity, the basis of all human rights, and has a bridge-building function across all divides and distinctions (Muhammad, 2016) whereas, in the Christian tradition, the principle has a richer understanding referring to the interconnectedness and interdependence of God, persons, and creation (Lysaught, 2014). The central concept of solidarity according to the Catholic Church’s underlying social doctrine is that of “philia” which Aristotle in same way envisioned society to be a community of individuals aiming towards communion (Pontificia 2008). Altogether, solidarity indicates the ways in which God walks with humanity, and creation and calls all people to do the same and this deep interconnection translates into a sense of the “community” of all people and includes a motivation toward action for justice (Lysaught, 2014). For this reason, the vision of “walking with” is captured in the term “accompaniment” that is often used by Latin American theologians” (Lysaught, 2014). In a like manner, Marx suggested the most basic human need is to have human connection (Heilbroner, 1999). Ultimately, solidarity calls all to unite for action on behalf of the common good and the basis for this united action is the belief that all persons are intrinsically interconnected and interdependent (Lysaught, 2014). Through learning the global leadership competency of solidarity I also experienced a first-hand experience of promoting solidarity while in Belize through our group consulting project work. The shared saying, “let us learn solidarity. Without solidarity our faith is dead” (Lennan, 2014) expresses a Christian approach to solidarity in diversity in one way through a focus on the interpersonal relationships. 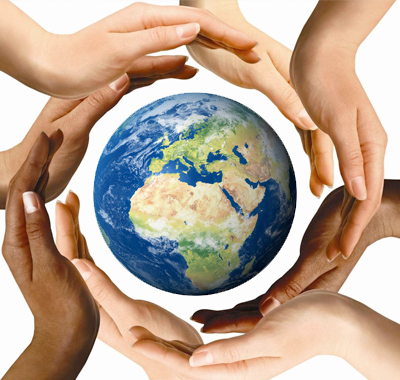 In this context, the common good can be understood as the material and social conditions that allow people to reach their full human potential and to realize their human dignity (Lysaught, 2014). One way to take a look at the what the common good is at a particular point in time is through reading the situation and shaping the conversation which provides people the opportunity to learn to work and discuss together (Scheff, 2008). According to Amin, is the real-life encounter with difference, engaging in joining practices that are the beginning of a learning process that disrupts stereotypes and initiates new attachments among strangers (Amin, 2002b, 970). Comparatively, the learning through our group consulting project work was while I come into new experiences with my own lens the central fact of my life as a Christian is that I my hope is to work through the issues of society for the common good (Conway, 2003). And so, through our group consulting project as a small team we set out with the goal to propose ways to promote the common good in the developing country of Belize. With this in mind, we developed a service leadership plan that integrated theory and practice by partnering with St. John’s Memorial in Placencia to strengthen the elementary academic program. Together, we collaborated with the administration to identify potential learning gaps, which lead to adult math deficiency in the Stann Creek District. In partnership with Principle White, we developed a math curriculum designed to provide teachers and student parent educational tools to encourage higher order thinking among students and together began implementation toward the identified opportunities that lead to improving numeracy in the district. I experienced the group consulting project as an opportunity to share my faith through my actions. Specifically, working together with St. John’s Memorial and the personal interaction with Principal White and his staff and engaging with the math exercises geared toward collaboration are the moments I felt like I most identified with the principle of solidarity. Working side by side in collaboration with Belizeans was a once in a lifetime opportunity for me to get to see how the Lord sees to every detail in all our lives. As Lysaught describes, “learning to practice the virtue of solidarity means learning that ‘loving our neighbor’ has social dimensions in an interdependent world” (Lysaught, 2014, p.1). Spending time with Principal White and with his staff learning about his love for the school and sitting down and listening to Michelley at Robert’s Grove share her love and hope for her children are the memories I carry forward with me. In essence, the approaches of appreciative inquiry and humble inquiry from Schein and Trosten-Bloom tie into my learning of how I express solidarity in diversity. For example, humble inquiry encourages openness and curiosity about another to with give and take that based on mutual trust and respect (Schein, 2013). Similarly, appreciative inquiry is a model that encourages people to engage in positive dialogue (Whitney, 2003). From another angle, discovering and influencing motives that drive behaviors introduced through Dr. June’s SPELIT resource has increased my global self-awareness personally and interpersonally. A common theme in each of these theories is to lead by listening, and asking a question versus telling. Our time together has given new meaning to my approach to work through my developing understanding of the basic principles global leadership. Our time has encouraged me to spend time thinking, researching, and reading about events in the world through The International Journal of Social Economics, and through The Journal of Economic Perspectives and my ability to relate and share in relevant and topical conversations is increasing. The number one current impact of my learning comes from the principle of solidarity and “walking with” my neighbor which is leading to an increase in confidence in my day to day interactions. There are many additional learnings and applications I anticipate making a personal impact in my everyday life. One learning from this course that I anticipate making a professional impact as I move forward is that I now have the ability to create approaches to addressing problems through analysis tools such as SPELIT to discuss and analyze classical and contemporary social, business, political, and educational challenges. A second learning that I anticipate having a positive impact is through my gained knowledge of economic principles and the analysis required in the design and evaluation of policies in both the public and private sectors. The third application that I anticipate making a professional impact is a gained competency in applying global theory and research to real-world settings. Altogether, I feel that I have the understanding of the tools needed when entering into an unfamiliar experience in a new country. Whatever my next cross-cultural experience might be I anticipate having the ability to walk into a new situation and recognize that there will be communication issues and to understand there will always be something that gets lost with the transfer of information. Additionally, there will likely be values conflicts based on each person’s lens due to upbringing or potential cultural biases. With these couple components in mind, I will recognize the detective work then comes into play to determine what information I have and what questions need to be asked given the situation. From my learning of our approach to leading globally in Belize, I plan to continue developing my understanding that everyone goes into a situation from a values view and by appreciating the perspective, and recognizing diversity a shared confidence can be developed in coming together. I will also be mindful that when leading globally values approaches are implicit within our individual disciplines as trained. From now on, knowing what I know after taking this course I will approach my interactions through the relational lens of a globally competent leader. My personal life philosophy is to believe the best in people. As a Christian, I aspire for a legacy to be identified as faithful. In this way, I will determine the ways I can incorporate my legacy into my everyday action, and I will recognize, “the virtue of solidarity is rooted in the Catholic commitment to the common good, for it is the only way to achieve the good of all—the good that we share in common. If we are truly interconnected, the suffering and ill-fortune of one of us diminishes us all. In all ways—economically, politically, in care for the environment, personally—we can only live well when we recognize and foster the bonds that connect all human persons” (Lysaught, 2014, p.12). Through this truth, I will continue to feel encouraged and equipped with the resources to develop my capacity to apply the global competency of solidarity through my interpersonal relationships work related opportunities. Likewise, I plan to continue to develop engaging relationships and work toward fulfilling my purpose in life through serving in promoting the common good and continued learning. Along the way, I hope to develop a parallel career path of teaching, researching, and writing as Drucker shared in Managing Oneself. Additionally, I plan to continue developing through my connection with Pepperdine and the Ph.D. program. Specifically, I will look into collaborating with Dr. Kevin Groves through his work associated with leadership effectiveness and team performance for teams that are high in cultural diversity to identify stakeholders within my organization that have an interest in designing and developing a service leadership plan related to leader cultural intelligence. In short, what constitutes the common good will always be a matter for debate. As a global leader, I will continue to reflect on my sensitivity to the common good and make choices that protect the common good. I will continue to reflect on the definition of global leadership and to consider my values, beliefs, and attitudes as well as how they translate into my personal and leadership behavior. I will continue to expand my understanding of what it means to be “globally competent.” My faith along with my relationships help me establish a more thoughtful understanding of contributing during my time here as well as in creating something that will go on after me. Lastly, thank you to Dr. June for providing the experience to put our learning into practice and for encouraging and developing community through our time together in EDOL 754A. Amin, A. 2002b. “Ethnicity and Multicultural City: Living with Diversity.” Environment and Planning A 34 (6): 959-980. Boyer, M. A., Hudson, N. F., & Butler, M. J. (2013). Global politics: Engaging a complex world. New York: McGraw-Hill. Drucker, Peter. (1999). Managing Oneself. Harvard Business Review, 77:2. Goleman, Daniel. (1998). What Makes A Leader. Harvard Business Review. Heilbroner, R. L. (1999). The worldly philosophers: The lives, times, and ideas of the great economic thinkers. New York: Simon & Schuster. 2016). Putting flesh to the bone: looking for solidarity in diversity, here and now.Ethnic and Racial Studies, 39, 5, 764-782. Pontificia Accademia delle scienze sociali., & Pontificia Accademia delle scienze sociali. (2008). Pursuing the common good: How solidarity and subsidiarity can work together: the proceedings of the 14th Plenary Session, 2-6 May 2008, Casina Pio IV. Vatican City: Pontifical Academy of Social Sciences. Scheff, T. J. (December 01, 2008). Awareness structures: defining alienation/solidarity1. Journal of Power, 1, 3, 237-250. Schein, E. H. (2013). Humble Inquiry: The gentle art of asking instead of telling. United States. (2014). The CIA world factbook 2014-15. New York [N.Y.: Skyhorse Pub. Whitney, D. & Trosten-Bloom, A. (2003). The Power of Appreciative Inquiry: A Practical Guide to Positive Change. San Francisco, CA: Berrett-Koehler.